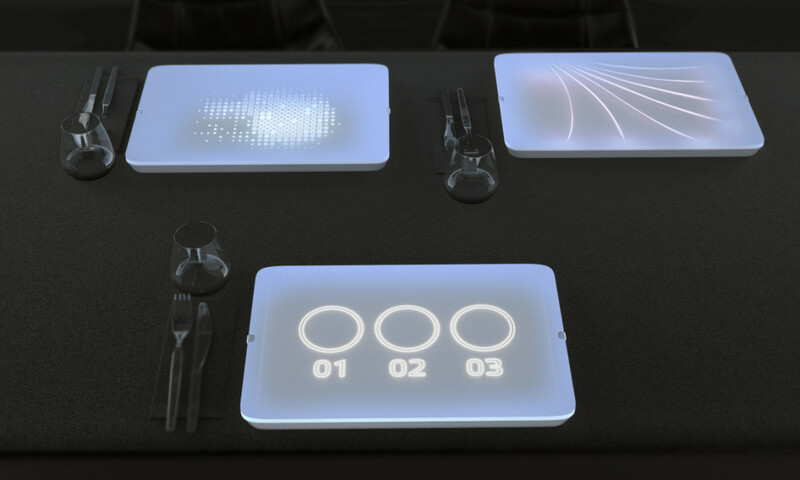 What if an everyday object such a plate becomes an interactive gadget? 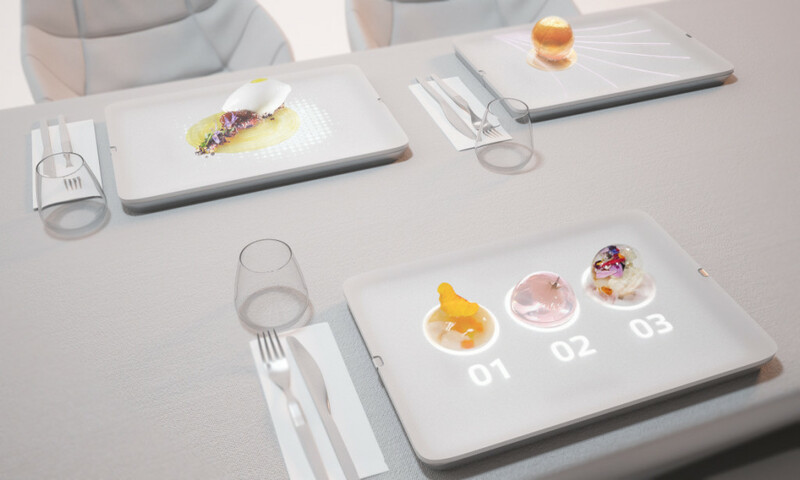 The light dish was thought to bring a new dining experience. 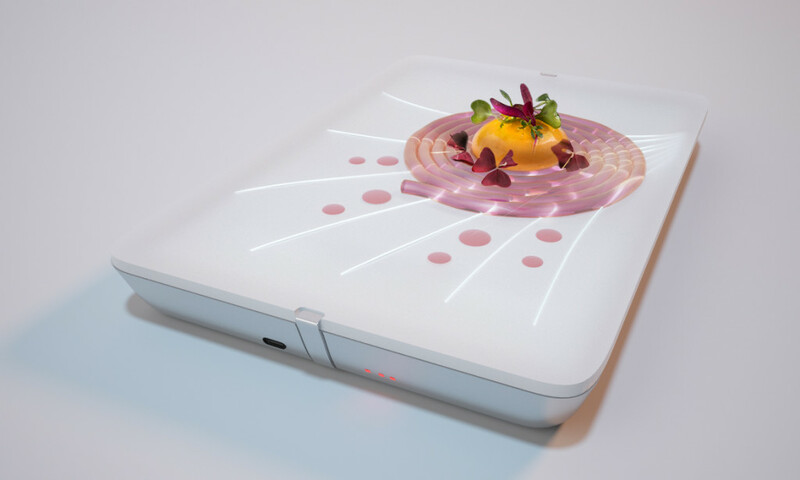 Originally, the dish was designed with a focus on a molecular gastronomy, where food meets art and science. 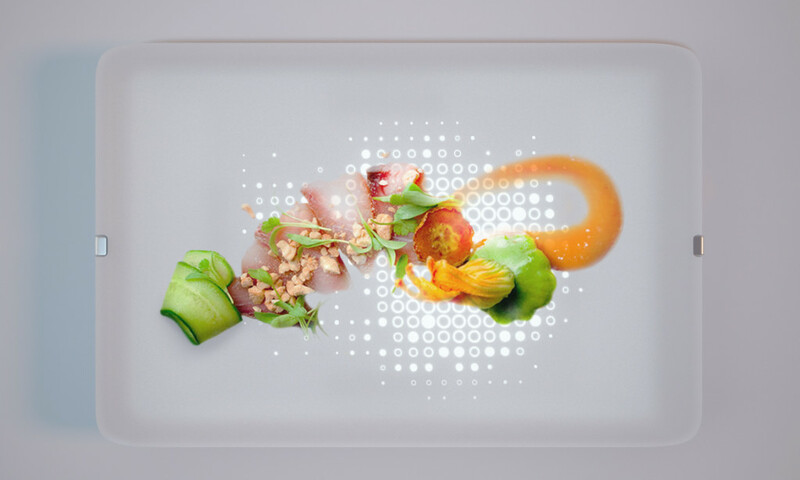 The light dish highlights food in a new, unexpected way, creating soft and diffused light. 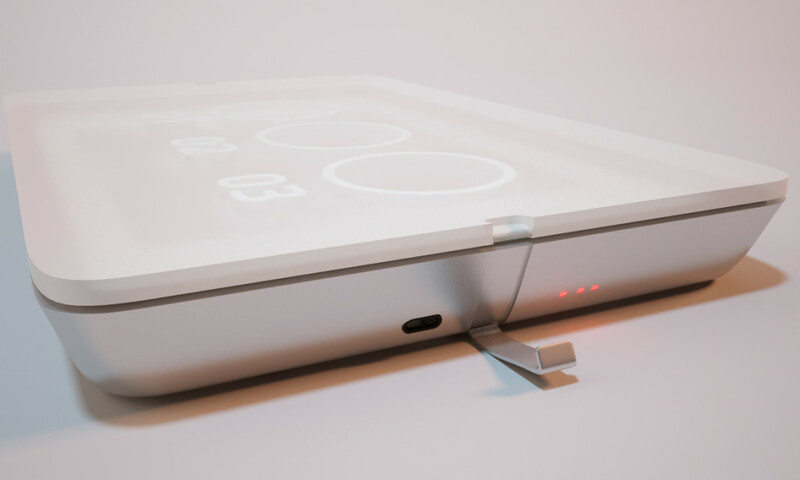 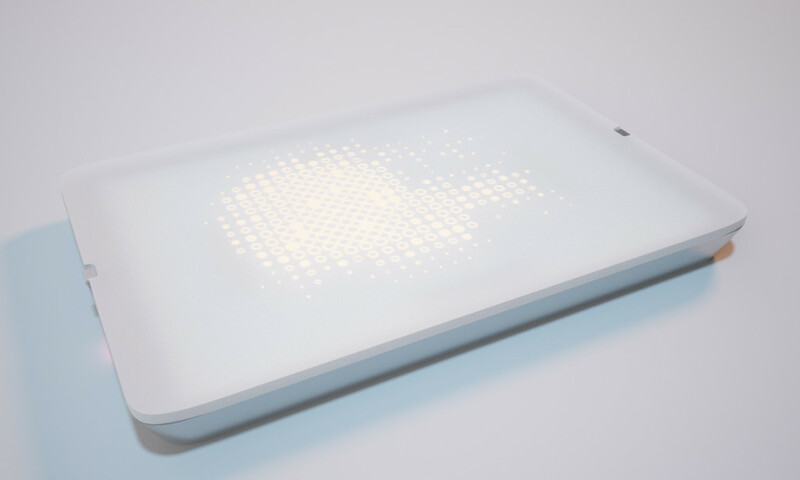 The top of the dish is made of Corian solid surface that hides a LED panel and a battery. 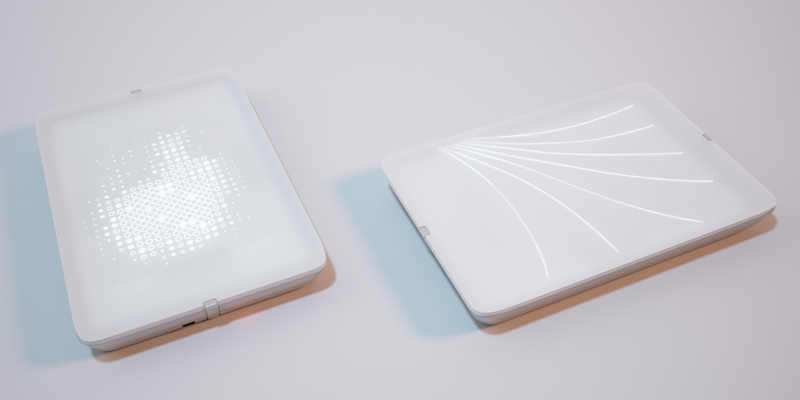 It can be customized with different patterns, logos or other designs.